Full-production models were tested at the Virginia International Raceway’s ‘Grand Course,’ setting lap records. 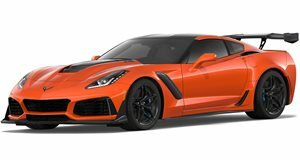 Chevrolet recently took full-production models of the Corvette ZR1 and Camaro ZL1 to the &apos;Grand Course&apos; at the Virginia International Raceway as a reminder of just how awesome they are. In a statement, GM said: "The Grand Course configuration is a challenge for production cars because it requires prodigious power, precise handling and tenacious grip to record a fast lap." Something both these sports cars have in abundance. "Like the Nurburgring, a single lap at VIR tests every aspect of a car, including power, brakes, steering, tire grip and chassis balance," said General Motors North America President Mark Reuss. "To break a three-minute lap on the four-mile Grand Course is an incredible accomplishment for any car." Engineer Jim Mero drove the 638hp 2012 Chevrolet Corvette ZR1, lapping the course in 2:45.6, faster than the published time for any production car; while engineer Aaron Link drove the 580hp Camaro ZL1 returning a lap time of 2:52.4. To put this into perspective, that&apos;s more than six seconds faster than the 2011 Ford Shelby GT500&apos;s published time on the same track. 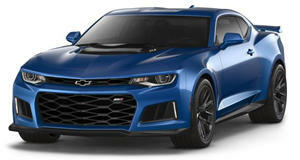 Earlier this week GM announced that one out of every three sports cars sold in the US in 2001 was either a Camaro or Corvette, and it&apos;s easy to see why.